repack much e.U. – Mit Woodbags das schnelle und saubere abfüllen von Scheitholz. Innerhalb von 6 Monaten trocknet das Brennholz auf 20 % Restfeuchte ab. Walter Wittmann succeeded a great product with his development for many years of a UV resistant 4 net Woodbags. Our company repack much e.U. is the partner par excellence when it comes to the storage, drying and transport of firewood. 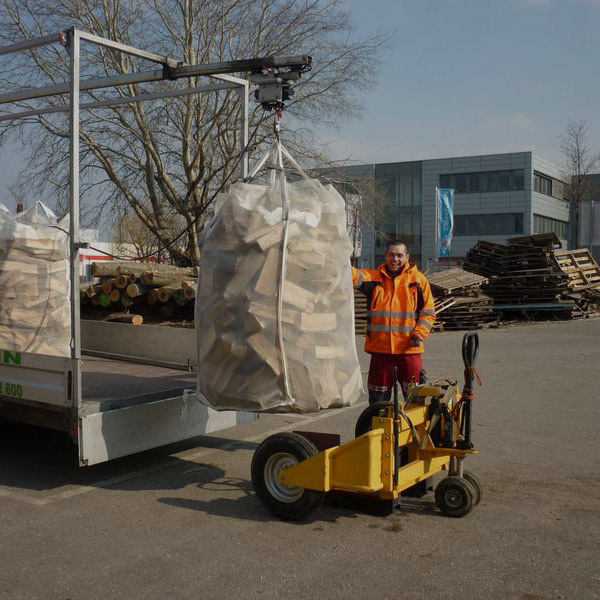 The resourceful entrepreneur who manufactures ovenable firewood in bulk quantities since 2006 with two large firewood harvester by Posch, has developed a so-called “Woodbag” for storaging and drying firewood. Produced since 2012, Captain Flash is now a major export and has a ready sale, because it clearly stands out of other products with 100% net, a 10-loop-system and extremely good processing. 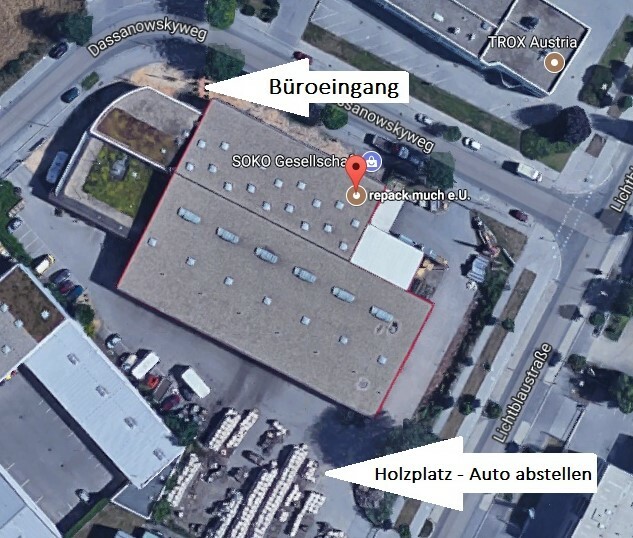 Many firewood businesses from across Europe shifted to the Woodbags from Austria. But also a lot of private persons and farmers with small quantities are supplied. 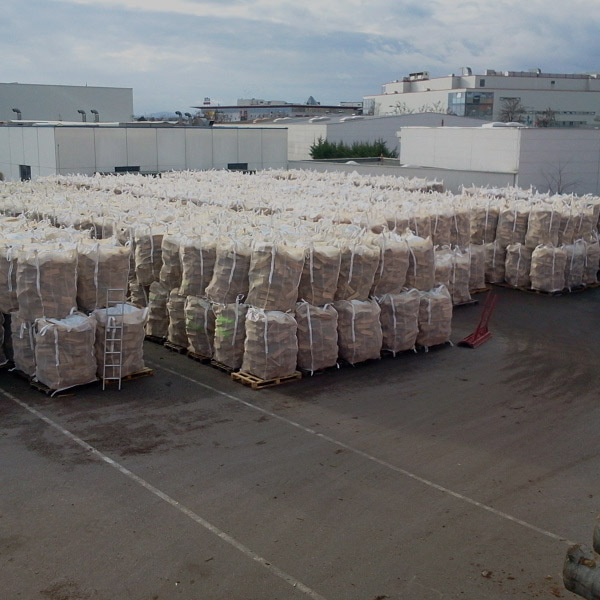 Almost 70% of the bags are exported to Germany, France and Switzerland. But even in Japan (!) The Captain Flash is now used. 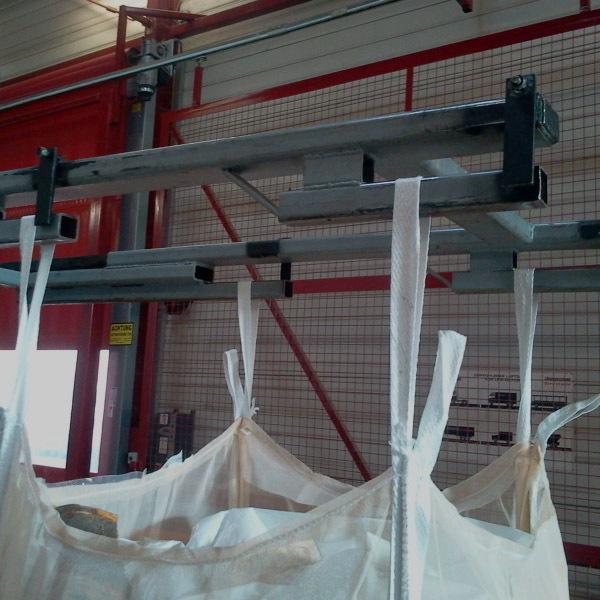 No matter if you build a simple rack for hanging of the wood bags on your own or if you hang the bag directly on the forklift’s fork, your work will be made easier, compared to the classical filling of boxes and will save you an immense amount of time. 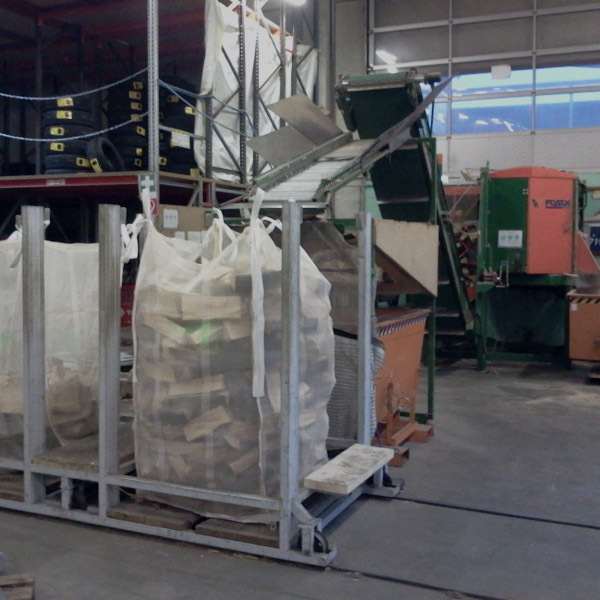 Professionals use a double rack-carriage to allow for an uninterrupted filling of the wood bags. Due to this Eight Loop System it is easier than ever before to empty the bags. 0 % labor – 100 % time reduction. With the help of a special forklift rack, all four long loop handles can be used to lift your bag simultaneously. The mobile side flaps serve as a prevention of unintentional unhooking of the wood bags. After the bags’ placing it is once again simple to unhook the loop handles. Important: We place the bags on single-use palettes and cover the stored goods with a protective foil against heavy rain. Left alone, the bag loses, even during rainy winters, at least 200 kg water within six months. We fill the bags with approx. 675 kg of wet firewood. Bags filled in November weigh about 475 kg at the beginning of March, thus reaching the 20% limit of the class ‘dry’ quality. After reaching 450 kg the weight losing process ceases and the wood starts to compensate the missing moisture through the humidity of its environment. It is recommended to place no more than three bags pro line while leaving at least one meter between the next three-bag-line to allow for better accessibility. The upper bags should be always placed pyramid-like in between of the bottom bags to stay secure. From June you are allowed to sell your firewood as ‘dry’ and start shipping. This statement does not apply for outside storing sites with average annual precipitation over 800 mm or with generally unfavorable location such as woodland edges, rivers, lakes or wind protected areas. However, for 95 % of all of firewood dealers this will not be the case. The shipping is possible through various kinds of vehicles such as truck or car trailers. Particularly suitable is our plateau trailer with build-in frames and rails with a rope winch. The trailer possesses its own power supply and allows for the unloading of four bags in just a few minutes. For a minor charge, we shall deliver the wood bags with a special palette track directly to your home. Hundreds of our customers have made use of this arrangement. Advantages: Fast, maneuverable, no truck needed, no C-driving license needed, low preservation costs, max. 21.000 € for a new trailer including complete set-up. Naturally, it is also possible to empty the wood bags and to delivery merely the firewood. But the trend goes in the direction of customer-orientated delivery, which is clean, fast and as inexpensive as possible. By leaving the wood bag to the customer, we are true to this trend. Three different models of the Woodbag are available! The new bro, Captain Flash Simple & One-Way, is meant for all of you, who do not intend to use the wood bag for a second time or want to leave the wood bag together with the fire wood at the customer’s. Our already proven 100,000 times standard bag for a quick filling of your firewood. Toss away your boxes, mesh boxes and sacks, because now comes Captain Flash! Commander Titan is extremely resistant, resilient and robust – for the really hard working ones. He will never let you down!